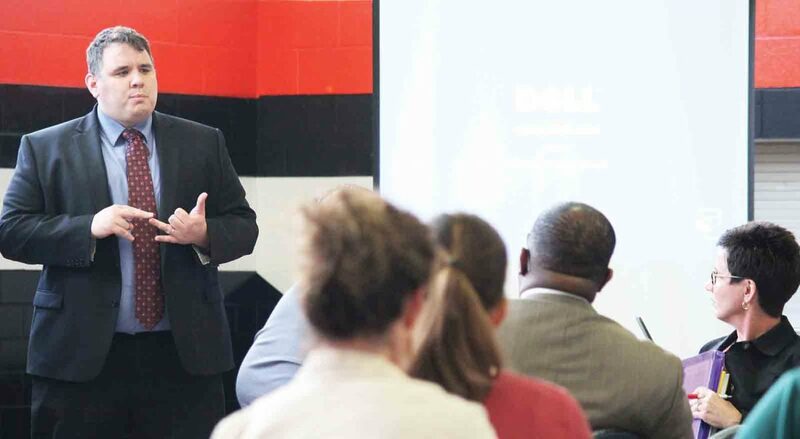 BELPRE — Superintendent Jeff Greenley presented additional information Monday on his plans to revamp curriculum for Belpre City Schools. Greenley, who began as the district’s superintendent in February, has advocated for a shift in teaching in Belpre schools, one concentrating on “21st Century Skills” and creating graduates who can succeed in a changing economic and technological world. Greenley has asked educators and community members to weigh in on how to best adapt the city’s schools to changing workforce needs, a shift in culture and the challenge of preparing students now for jobs that may not yet exist. Greenley also presented information on what changes in teaching might mean in the classroom. The scenario showed a seventh-grade science teacher giving a lesson on ecosystems and how different creatures within those systems depend on one another. In the first example the teacher delivered information via traditional methods, such as explaining vocabulary terms and concepts, and then tested students on their comprehension. In the second scenario, students were presented with data and graphs and asked how to apply the information. The teacher often encourages small group discussions, asks students to present their work, and encourages students to further research the topic during class time. Students also were encouraged to test their claims and develop further questions on the topic. “It’s a really different way of designing content,” he said. While Greenley said the hands-on lesson presented in the sample would not occur every day, it would be the goal. “If we think these are important skills, can we aspire to do this?” he said. Greenley also stressed the change would not require teachers to do more, but rather change how they prioritize how they teach in the classroom. “That’s the crucial mindset shift,” he said. 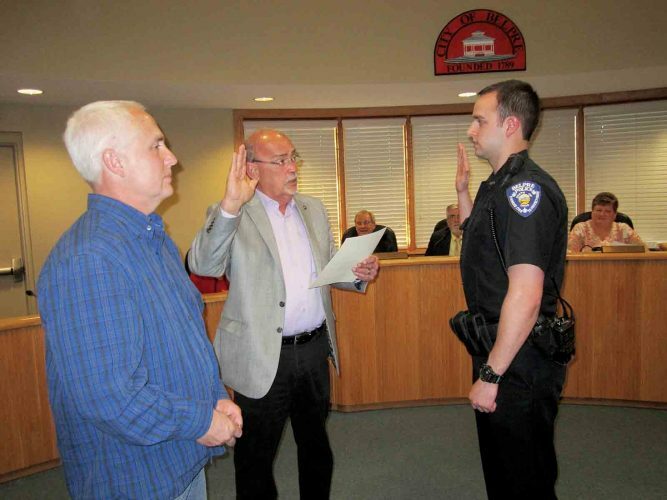 Greenley said he plans to continue presenting information to community groups and seeking input from various stakeholders in Belpre concerning the future of the school system.